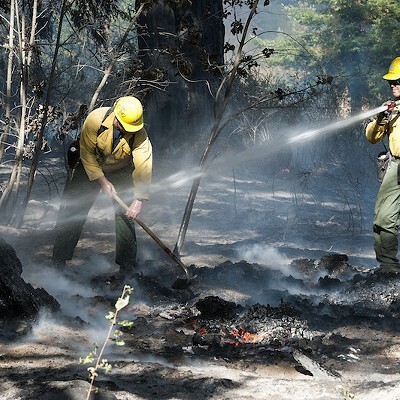 Crews from Cal Fire fight a blaze just north of Stafford on Thursday. 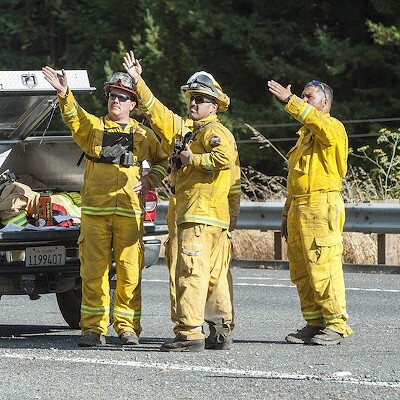 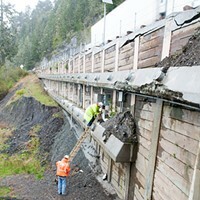 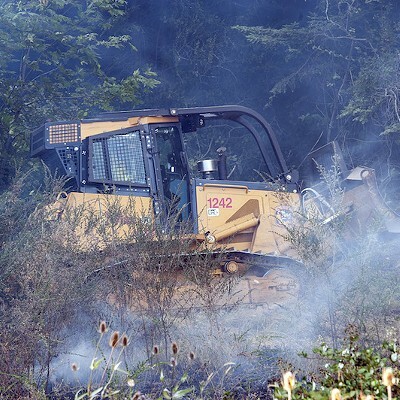 Fires broke out on both sides of U.S. Highway 101 near Stafford on Thursday, with crews from seven agencies called to battle the blaze. 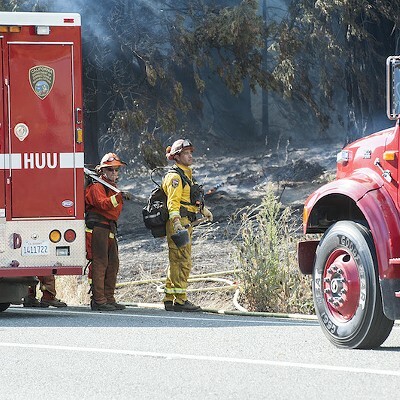 As of 8:30 p.m. Thursday, Cal Fire reported that the fire had spanned 35 acres and was 10 percent contained. 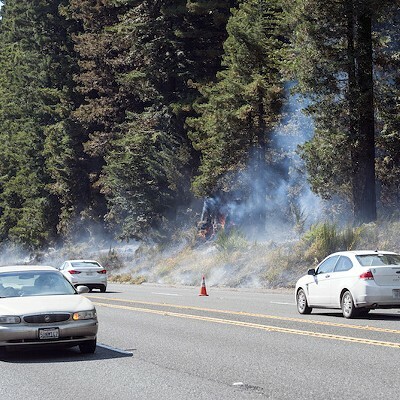 Scanner traffic Thursday afternoon indicated officials were concerned the fire could go “big,” and grow to consume as many as 100 acres. 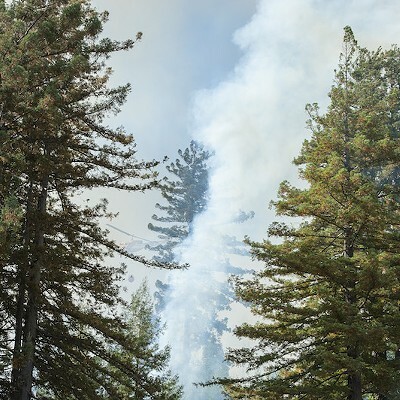 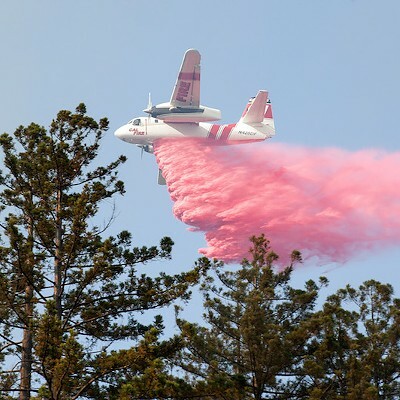 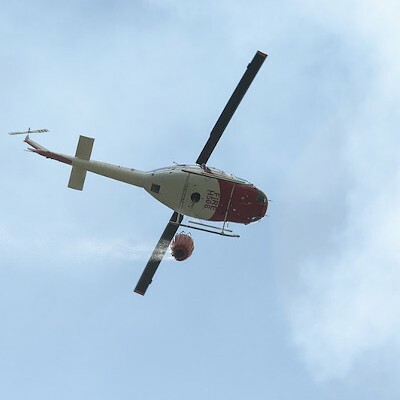 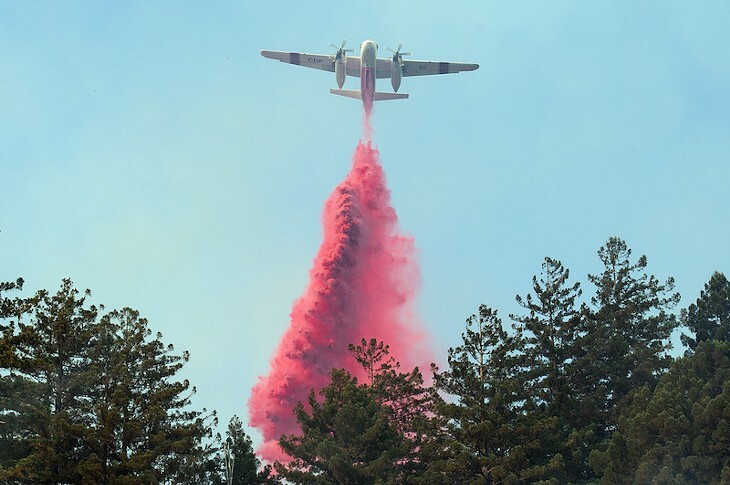 But it seems a heavy response that included air drops of fire suppressant and water pulled from the Eel River, coupled with light winds, helped fire crews get the blaze somewhat under control. 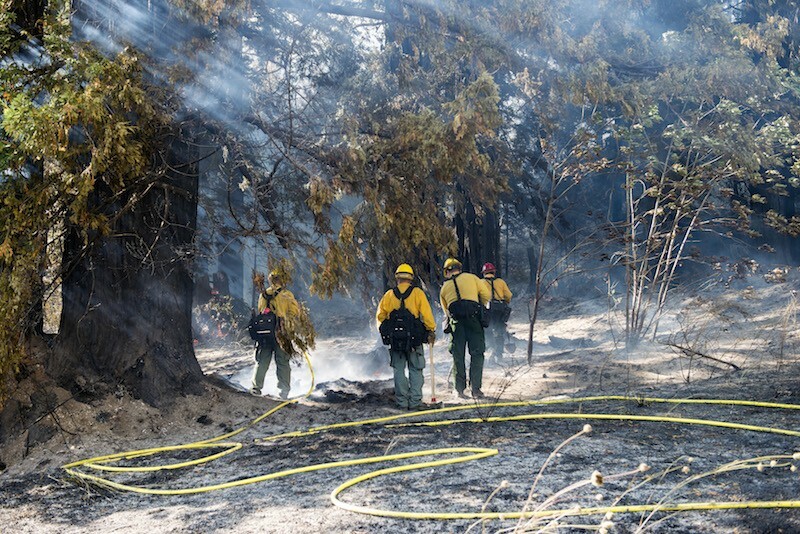 The cause of the fire remains under investigation as crews continue to work to temper the flames today. 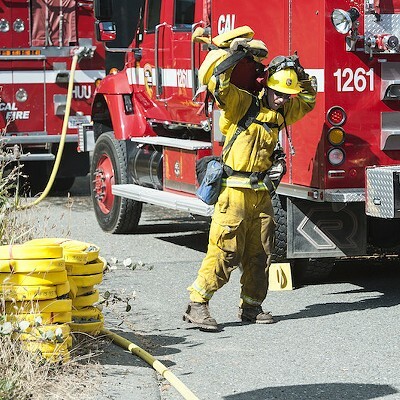 Calls placed to Cal Fire this morning seeking an update were not immediately returned but we'll update this post with any additional information we get. 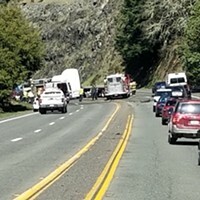 Local photographer Mark McKenna was on scene Thursday afternoon and shares the following slideshow.